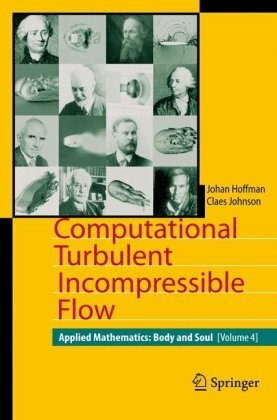 In this book we address mathematical modeling of turbulent fluid flow, and its many mysteries that have haunted scientist over the centuries; such as the dAlembert mystery of drag in an inviscid flow, the Sommerfeld mystery of transition to turbulence in shear flow, and the Loschmidt mystery of violation of the 2nd law of thermodynamics. Implicit finite difference schemes for solving two dimensional and three dimensional Euler and Navier-Stokes equations will be addressed. The methods are demonstrated in fully vectorized codes for a CRAY type architecture. These lecture notes have been prepared as a first course in fluid mechanics up to the presentation of the millennium problem listed by the Clay Mathematical Institute. Our primary goal is to debunk this beautiful problem as much as possible. Many organisms move through water or air in order to survive and reproduce. It is useful to analyze fluid motion as a collection of vortices: vortices interact with the moving organism, interact with each other, and evolve independently in time. The work aims at the extraction of principles of flight from, and the illustration of the use of, detailed information on aeronautics now available from many sources. The subject of aerodynamics is almost wholly based on experiment.